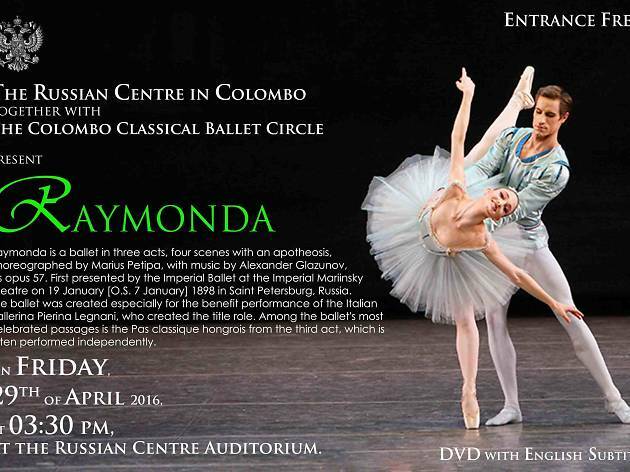 The Russian Centre in Colombo together with The Colombo Classical Ballet Circle presents Raymonda. This is a ballet in three acts and four scenes with an apotheosis choreographed by Marius Petipa. With music by Alexander Glazunov, Imperial Ballet first presented it in 1898 in Saint Petersburg, Russia. Be there on Friday the 29th of April at the Russian Centre Auditorium at 3.30 pm.